Highly efficient energy buildings require innovative technologies. 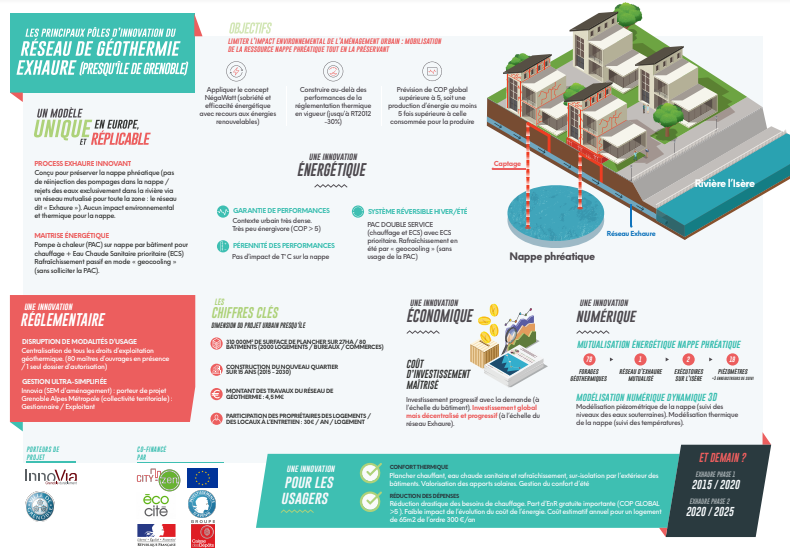 In this case, the selected technology: geothermal heat pumps could not be applied straight forward in this particular area of Grenoble. The Eco-Cité district La Presqu’ile is a former industrial area that is now being transformed in a mixeddistrict with housing, facilities, university and research institutes like the well-known particle acceleratorof CEA. The heat pumps for the newly built residential buildings extract heat for heating homes and domestic hot water from the ground water. Research showed that the outlet water of the heat pumps would influence each other’s performance negatively. This effect was significant as the area will be very densely built, allowing only limited space between the individual heat pumps. By making one geothermal borehole (inlet) per building and collecting all water rejected by the heat pump (outlet) in a dedicated drainage network into the Isere river. 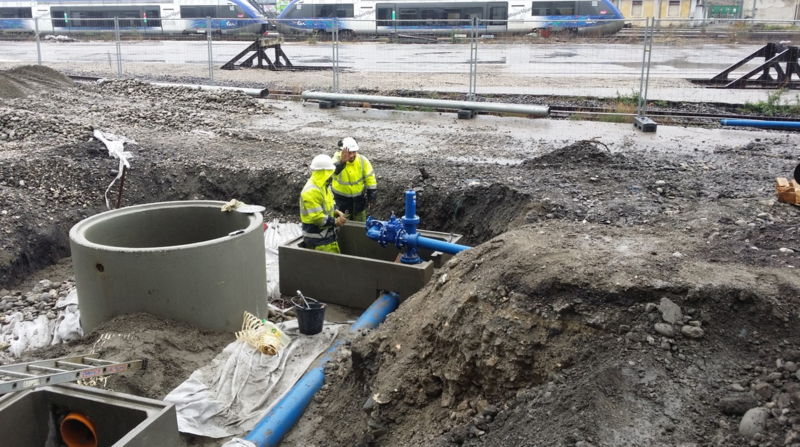 This innovative solution of a collective outlet water drainage network is a good solution for areas where groundwater heat pumps are being applied in high density. So far, two buildings are connected and operated (5 622 m²) and three others are in a test stage (7 490 m²).